If you’re visiting Saksun on Streymoy, I wrote in my previous blog post about the recent explosion in popularity of adventure and photography tourism in the Faroe Islands and not everyone who lives on these amazing Islands is happy about it. Unfortunately, it is a fact of life that increased tourism inevitably conflicts with the interests of local people and delicate environments. After running Wild Light Photography workshops in the Faroe Islands for the past several years, I have seen a great deal of evidence of increasing numbers of visitors to the Islands. 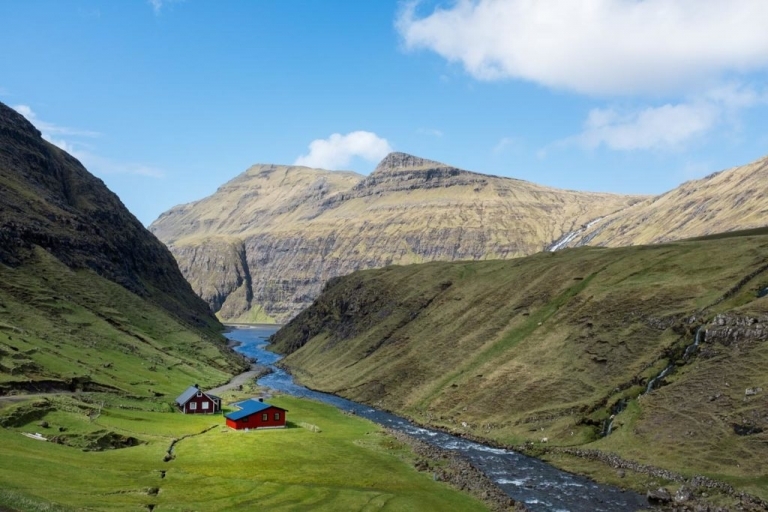 Fully booked flights and hotel accommodation and the many new car rental companies that have appeared across the Islands are a good indicator that tourism in the Faroe Islands is expanding rapidly and confrontations between visitors and a local farmer have come to a head at Saksun. During my many visits to the Islands, I have always found the Faroese to be reserved, dignified, polite, helpful and tolerant people. However, Jóhan Jógvansson, the Bondi (farmer) at Dúvugarðar, is an angry young man. He lives with his partner and child on the farm at the end of the lane at Saksun and has a habit of patrolling the lanes in his red van, often beligerently warning visitors not to trespass. Jóhan does not like tourists and he and other residents are at odds with the Ministry for Tourism for lack of support in helping to resolve problems with tourists. It seems that Jóhan has unilaterally declared war on visitors and Visit Faroe Islands and he is actively attempting to discourage visitors to Saksun. Of course you will visit Saksun, an exploration of the Faroe Islands would be incomplete without it. This a battle that Jóhan simply cannot win. 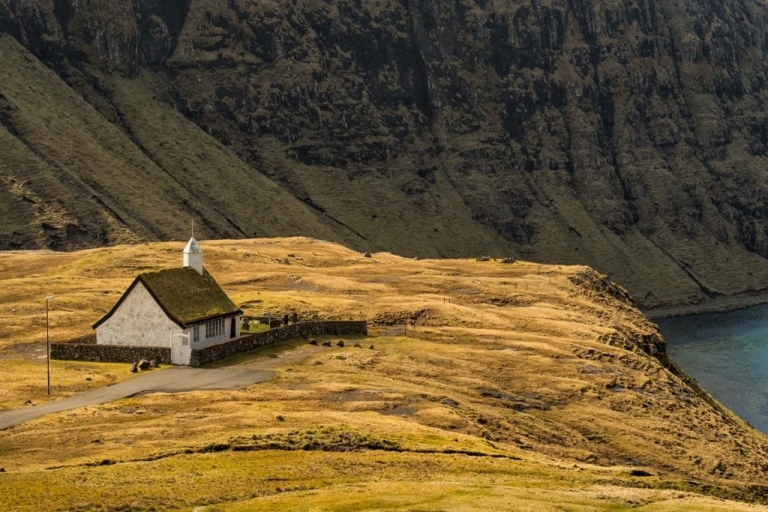 The problem for Jóhan and other residents is that the tiny settlement is quintessentially Faroese, it is authentic and tourists visiting Saksun naturally want to explore this fragile and beautiful place without the unwelcome attention of a farmer with some social issues. The situation has become increasingly heated. Putting aside the most widely publicised and idiotic examples of his recent behaviour, let us, as visitors, take a step back and consider Jóhan Jógvansson’s point of view objectively. Saksun is home to Jóhan and his family. His livelihood and his means of supporting his family depend on the farm, his sheep and his land. It is a fragile environment, at real risk of being damaged beyond repair by increasing numbers of tourists, many of whom are hell-bent on getting that photograph without regard for private land or livestock. If it is true that the Ministry for Tourism in Torshavn is not addressing visitor issues on behalf of local residents, then it’s hardly surprising they are angry and probably inevitable that someone like Jóhan will resort to taking direct action to preserve their livelihood and property. Confrontations will escalate and no one in their right mind would want that to happen. I do not condone some of Jóhan’s behaviour, but I do have considerable sympathy for his frustration. I’m sure most reasonable people who visit would also understand his ire. What is really needed in Saksun is more obvious and clear official information for tourists and more official signage that clearly informs visitors about where they can and cannot go and what they can and cannot do. It needs to be done before the situation with Jóhan Jógvansson and visitors at Saksun spirals out of control. The point is, when visiting Saksun and other popular locations, it is our responsibility to reduce our impact on the environment and upon the lives of local people as much as we possibly can. We can begin by taking responsibility for our own behaviour. Please treat Saksun with respect. Stay off private land, it costs nothing to visit Saksun and in return you’ll leave with images and memories of an astonishingly beautiful place that is definitely not Disneyland.